Provides information and helpful hints on everything from construction to aquatic plants. Geared toward water garden lovers everywhere, this soft-cover 170+ page book provides information and helpful hints on everything from construction to aquatic plants. Ecosystem Pond gives you an in-depth look at the world of ponds from the past to the present, taking you through every element of a natural pond. 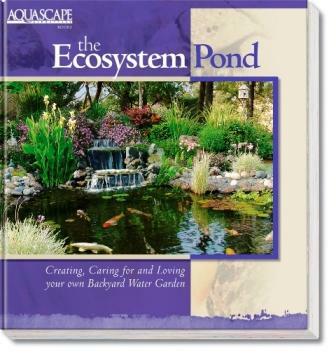 Explains how to create, care for and love your own backyard water garden. From Craig C. of Waxhaw, North Carolina on 4/3/2008 .